Three piece chudidar – Safest bet for ladies uniform in Chennai !! 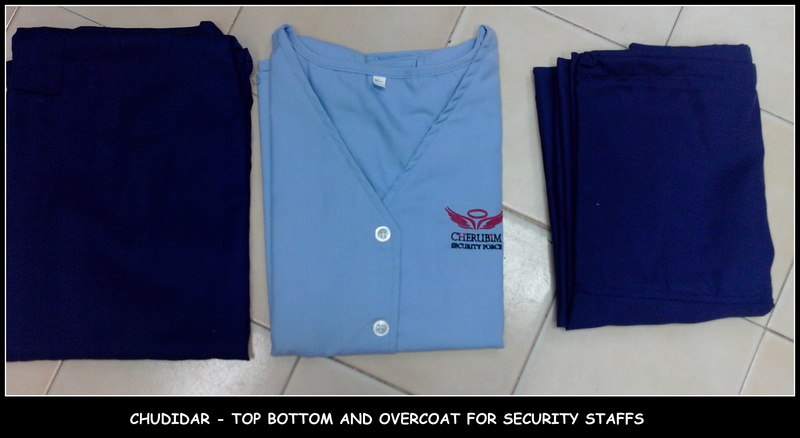 Houskeeping chudidar is the safest bet for ladies uniform who work for facility management services companies. The overcoat displayed is made up of Trovin material with the company logo embroidered and the top and bottom material used for chudidar is made up of poly/viscose material that is suitable for all skin types. The three piece set can be customized in various combinations based on your needs and branding. Call us on 044 25386319 or mail us at rahulrpatni@gmail.com for any requirements on Housekeeping uniforms in Chennai. We are also available on our blog contact us section at http://www.chennaiuniform.com or at http://www.chennaiuniforms.com enquiry page.